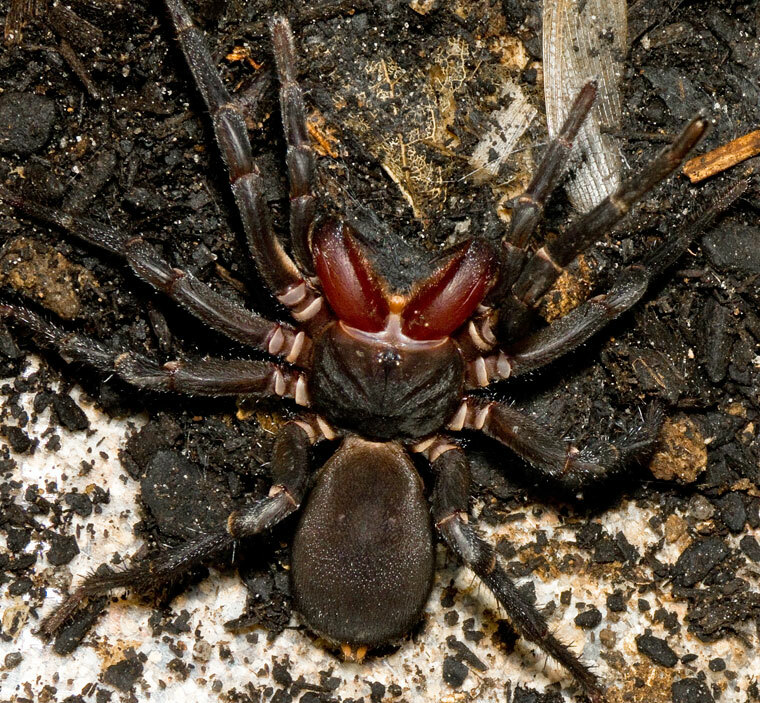 The Red-jawed Bearded Wishbone Spider is a rare species in an uncommon genus. 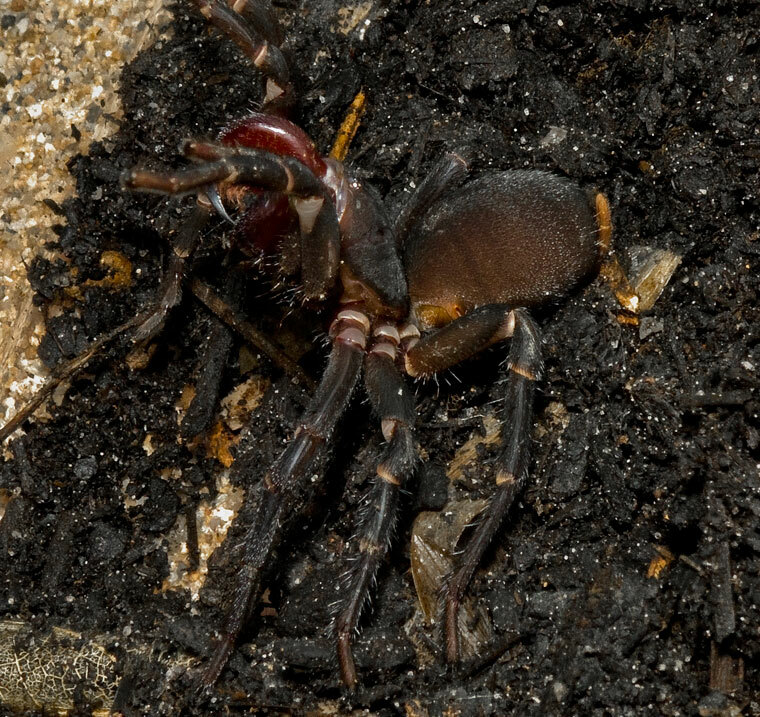 There are five Australian species in the genus Xamiatus erected by Dr Robert Raven in 1981 Including the biggest wishbone spider, Xamiatus magnificus . The Red-jawed Bearded Wishbone is found in South East Queensland near creeks. 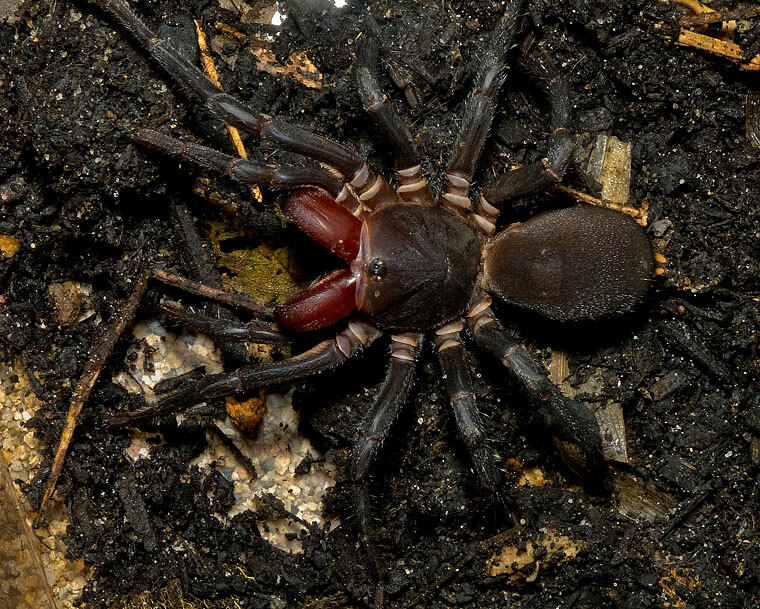 Its name comes from its very red to dark-pink chelicerae, or jaws. It is a dark brown spider, usually about 4cm in body length, robust and heavy and quite aggressive. Unlike most other wishbone spiders it has a straight burrow with no offshoot, possibly due to its relative size, aggression and strength, making it unnecessary to retreat from intruders. The species name rubifrons means red-fronted. 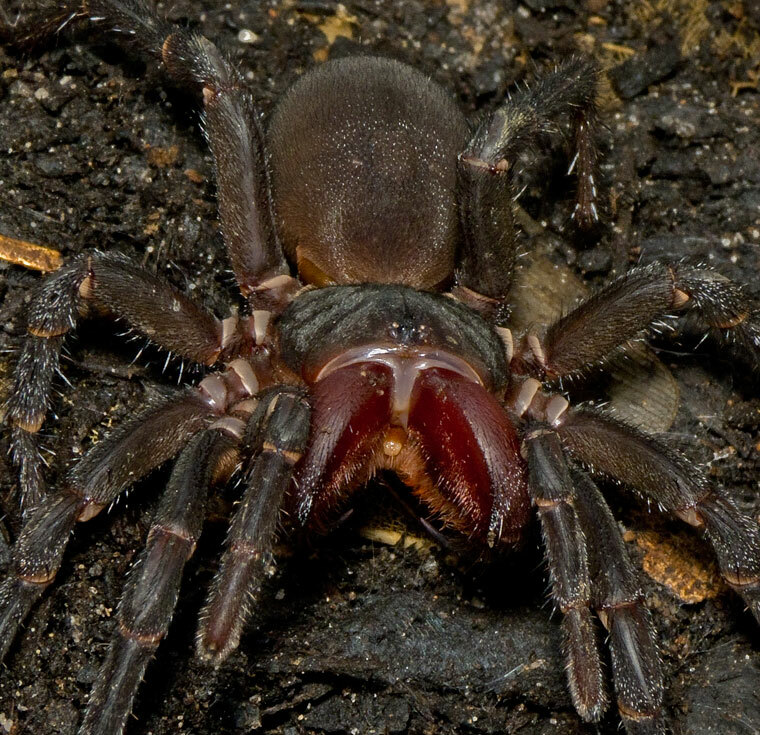 Little is known of its biology or venom, but its large fangs suggest it is capable of delivering painful and possibly dangerous bites.